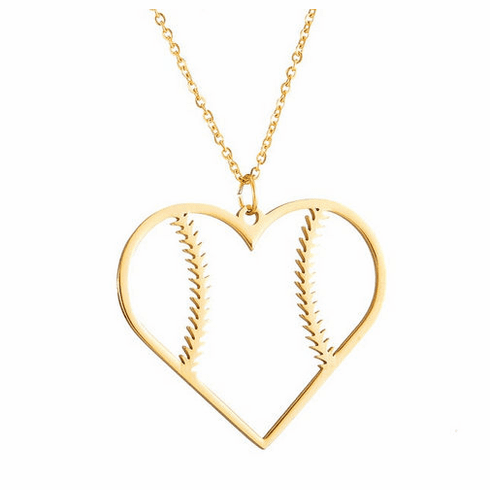 Stainless Steel Baseball Heart Pendant Necklace! Choose light yellow gold, silver, or rose gold! Baseball heart charm measures appx. 1 3/8" tall. Matching link chain with lobster claw clasp measures appx. 17" in length.